Import data from osTicket to UVdesk? 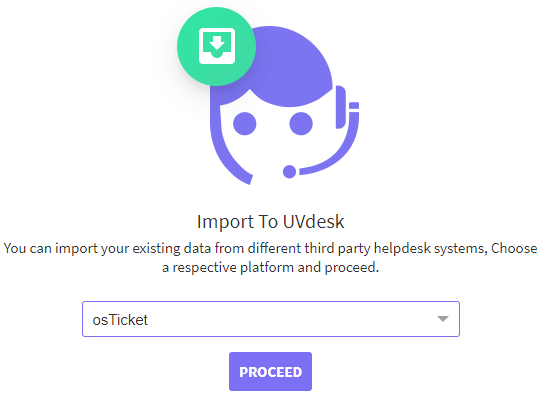 Now, you can import your existing data like tickets, groups, teams, ticket-types, agents, customers, saves-replies from osTicket System to your UVdesk Helpdesk System seamlessly. Login into your osTicket Helpdesk. Now, you can see an Export option at the bottom of your Ticket page. Click on the Export and then your data ( tickets) would be saved in a CSV file. 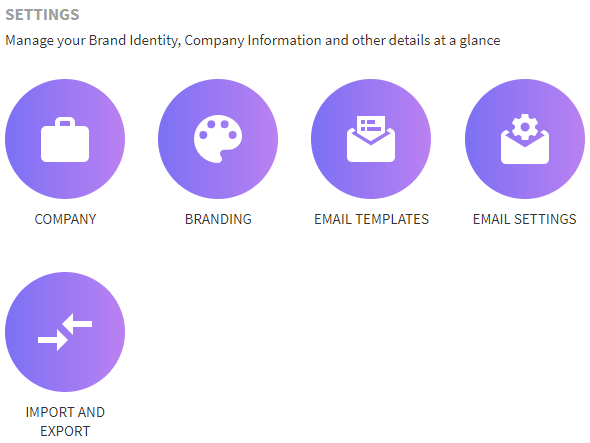 Go to your User tab and then you can see "Export" link at the bottom of the page and from there you can export your existing customers from your osTicket via CSV. 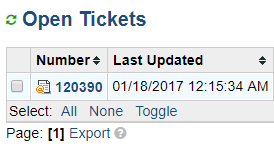 In osTicket Import data, your tickets would get imported if the ticket is created in the osTicket System but its thread data would not be imported. 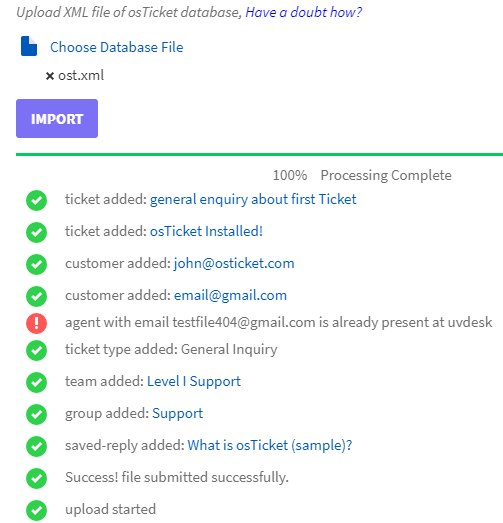 If you want to export all the data ( tickets, groups, teams, ticket-types, agents, customers, saves-replies ) from osTicket System to UVdesk Helpdesk, then you have to go to your phpMyAdmin and log in. 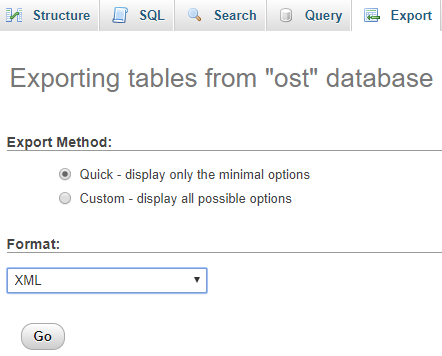 Click on "ost" table and then click on "Export" menu which is situated above. In the Format drop-down, select XML and then press on "Go" button. It supports a maximum of 25MB of data for the XML file. So, you can export 25 MB data via the XML and import to your UVdesk Helpdesk currently. Under "Import", select the osTicket option in the drop-down and click on Proceed button. You will see two section- Import osTicket & Individual Resources Import(CSV). The first one is "Import osTicket". 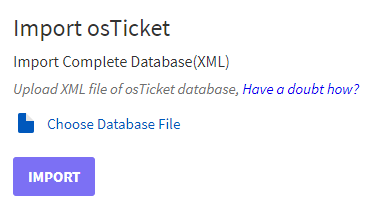 Here, you have to upload the XML file which you have downloaded from the osTicket database and after the XML import, you will have data like tickets, groups, teams, ticket-types, agents, customers, saves-replies in UVdesk from osTicket System. 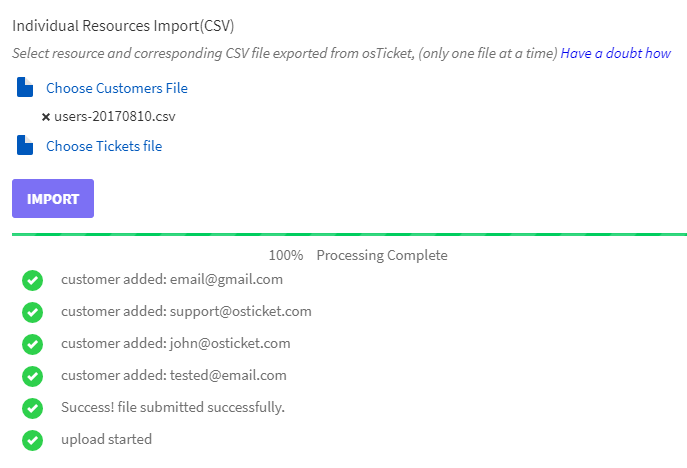 The second one is "Individual Resources Import(CSV)", where you can import and get only your ticket list and customer list from the osTicket System to UVdesk Helpdesk. You can either select "Tickets" or "Customers" and to import the customer data or ticket data separately. For example, I selected "Customers" and uploaded the CSV and clicked on "Import". Now, you can see the progress of the customer data which are imported to UVdesk. Suppose you had already imported any particular ticket in the past and again you try to import that ticket then it will be added again but for customer, agents, it will show that customer has been already added by its unique email. After importing the data from XML file, your "canned_response" from osTicket will become 'saved-replies' in UVdesk. 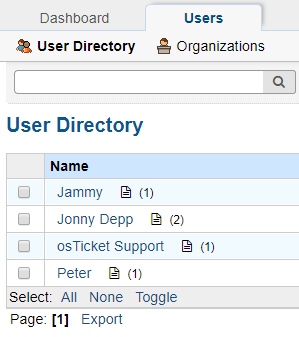 Similarly, your 'department' from osTicket will be 'groups' in UVdesk. 'Team' will be mapped to 'team' in UVdesk. The 'help_topic', 'staff', 'user', 'ticket' from osTicket would get mapped to 'ticket-types', 'agents','customers', 'tickets' in UVdesk respectively.